KPAD elevates its prominent expertise in microalgae technology, and its new capacity in defense & naval technology, and business development. LifeSub exhibits KPAD’s strategy to commercialize its inventive capital, and gain a significant market share in submarine air purification sector. Our solution excels over the mainstream technologies, and it fills a significant gap in submarine market with its microalgae based technology. 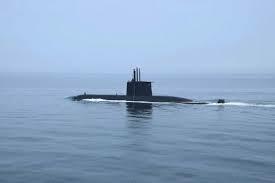 LifeSub innovation constitutes the introduction of regenerative atmosphere revitalization in submarines. LifeSub achieves to give a most effective solution to the most immediate concern for submarine crews: to support human metabolism and life -by removing exhaled CO2 and replacing metabolized O2, a vital process to support vessel’s crew life. LifeSub exhibits a unique and highly competitive, regenerative submarine atmosphere revitalization solution and achieve to convert; the onboard produced, CO2 to pure breathable O2, and remove all other onboard generated air contaminants through the advanced LifeSub microalgae-based biotechnology. LifeSub disruptive technology offers to submariners a safe and habitable atmosphere to live and work, free of toxicants and air contaminants. While, Navy users of LifeSub gain: (a) a safe, cost efficient, complete, and sustainable regenerative submarine atmosphere revitalization, (b) a strategic advantage over other navies that operate similar submarines and (c) an opportunity for improved submarine operations.